Massage therapy can greatly benefit your healing process and leave you feeling wonderfully relaxed. Anyone is welcome to take advantage of Matt McCurdy’s experienced massage therapy. Matt is a licensed massage therapist with a specialty in deep tissue massage. Dr. Gough may refer you to Matt if she feels your chiropractic care can be complemented by massage. 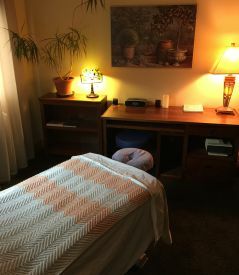 As auto accident victims, in particular, can benefit from massage therapy, we are happy to offer massage and chiropractic from our one location. Dr. Gough and Matt can then collaborate on your treatment plan to give you the greatest advantage. Matt can bill for both auto accidents and insurance coverage for massage.